The best gifts combine anticipation, surprise and lead to wonderful memories. 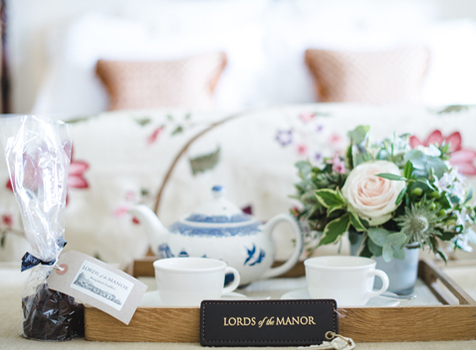 Lords of the Manor Gift Vouchers deliver on all fronts and are an eternally popular gift. All of the following treats are available to purchase as a Gift Voucher online. It’s worth noting that a minimum 2 night stay in usually requested when a stay includes a Saturday night. However vouchers can, of course, always be used as part payment for a stay. If you cannot see a voucher which is just right for you, please do call us directly and we will be pleased to assist. Monetary vouchers may be used at the hotel to pay for accommodation, food and/or beverages. They can be used as part payment, but please note that they cannot be exchanged for cash and no cash change will be given if the full value of the voucher is not used. For all guests staying overnight full English breakfast is included in their stay. 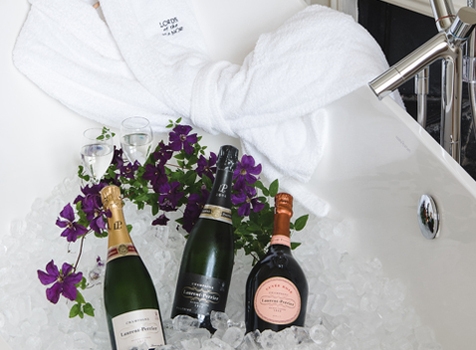 However, why not surprise someone with this particularly indulgent treat – this voucher may be exchanged for full English breakfast served in the comfort of the bedroom, with a glass of chilled Champagne and a Newspaper choice. *Guests with this voucher will be asked to order breakfast, newspaper and choose a service time the evening prior. 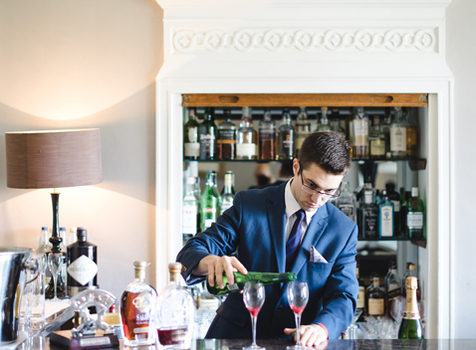 This gift voucher may be exchanged for our fabulous Signature Cocktail – a stunning blend of Cotswold Gin, Cotswold Vodka and Gloucestershire Three Choirs White Wine – shaken not stirred of course! 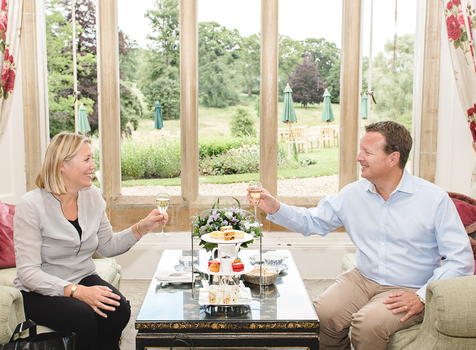 A quintessentially English experience, this gift voucher can be exchanged for our much loved Afternoon Tea – finger sandwiches, a selection of pastries handcrafted by our team of chefs, home-baked scones, clotted cream and jam and a pot of loose leaf tea – there are some 15 varieties to choose from. 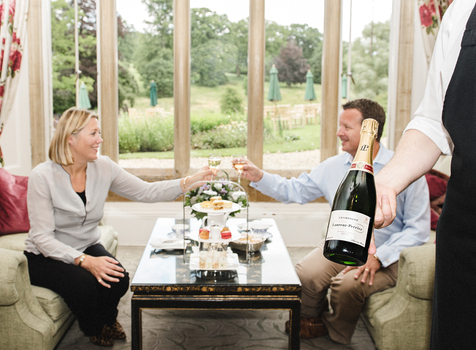 This gift voucher may be exchanged for our Full Afternoon Tea as above with a glass of Champagne each to add to the experience. 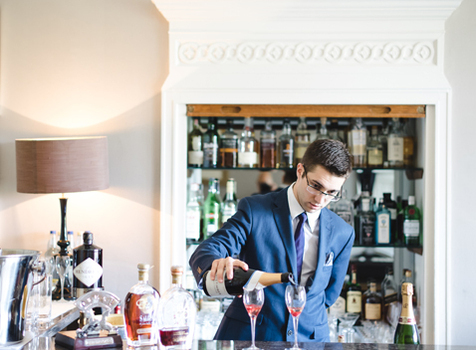 Lunch like a Lord in the beautiful surroundings of our Country Manor House and 8 acres of landscaped gardens, in the heart of the Cotswolds. This voucher may be exchanged for a 3 course Sunday Lunch for two including Coffee in our Restaurant. This gift voucher may be exchanged for a 3 course Sunday Lunch with Coffee, for four people, served in the peaceful surrounds of our Restaurant. 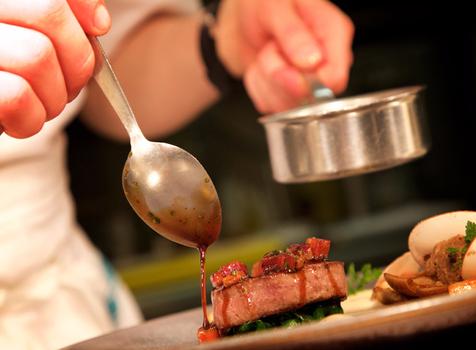 The expert kitchen team at Lords of the Manor aim to delight using the finest ingredients, local where possible, all treated with the utmost respect. 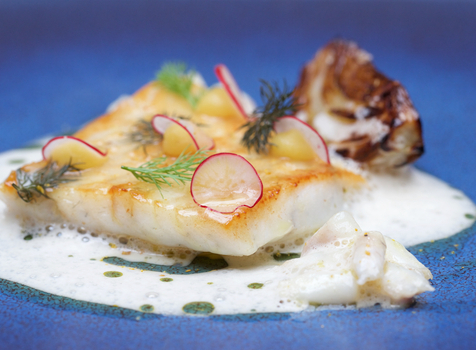 This gift voucher includes our 7 course Tasting Menu in our award winning restaurant. 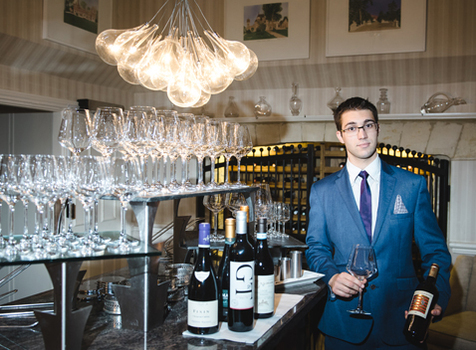 Our Sommelier knows a thing or two too! 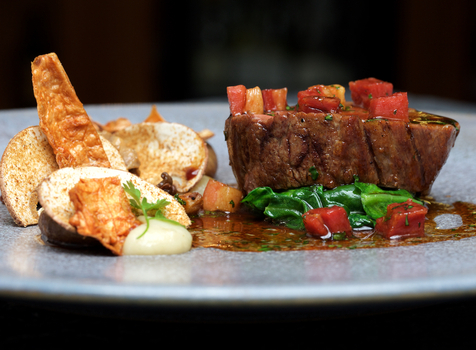 This gift voucher may be exchanged for our 7 course tasting menu accompanied by a flight of wines chosen by our Sommelier to especially compliment the menu dishes. 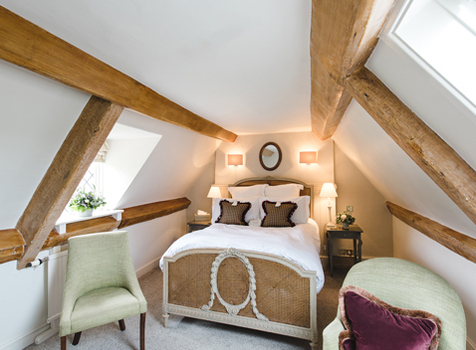 This voucher can be exchanged for overnight accommodation and full English breakfast for two in our classic double bedded rooms, located in either the main house or granary wing. 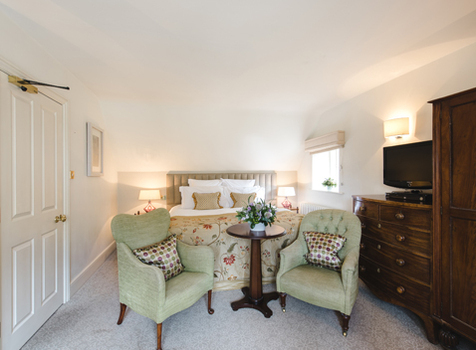 This voucher can be exchanged for overnight accommodation and full English breakfast for two in a Manor room with king size double or twin beds, overlooking the Courtyard or Village. This voucher can be exchanged for overnight accommodation and full English breakfast for two in a Rectory double or twin Room, situated in the main house, “the old rectory”, overlooking our beautiful gardens. 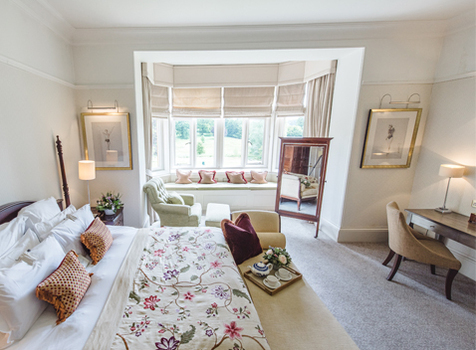 These gift vouchers may be exchanged for overnight accommodation and full English breakfast, in the largest bedrooms in the house, with large sitting areas. Double and twin bedded rooms available. This voucher can be exchanged for overnight accommodation, 3 course A la Carte Dinner in our restaurant and full English breakfast for two in our classic double bedded rooms; located in either the main house or granary wing. This voucher can be exchanged for overnight accommodation, 3 course A la Carte Dinner in our restaurant and full English breakfast for two in a Manor room with king size double or twin beds, overlooking the Courtyard or Village. 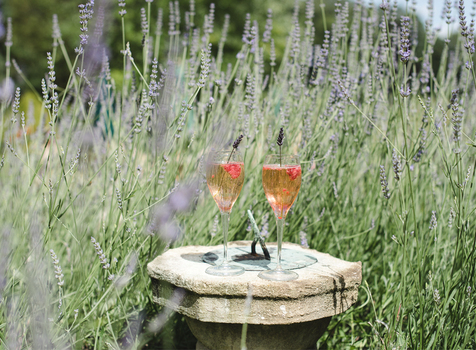 This voucher can be exchanged for overnight accommodation, 3 course A la Carte Dinner in our restaurant and full English breakfast for two in a Rectory double or twin Room, situated in the main house, “the old rectory”, overlooking our beautiful gardens. These gift vouchers may be exchanged for overnight accommodation, 3 course A la Carte Dinner in our restaurant and full English breakfast, in the largest bedrooms in the house, with large sitting areas. Double and twin bedded rooms available.